A stellar mentor can change the trajectory of a career. And an enduring mentoring program can become an organization’s most powerful talent development tool. But fixing a “broken” mentoring program or developing a new program from scratch requires a unique process, not a standard training methodology. Over the course of her career, seasoned program development specialist Jenn Labin has encountered dozens of mentoring programs unable to stand the test of their organizations’ natural talent cycles. 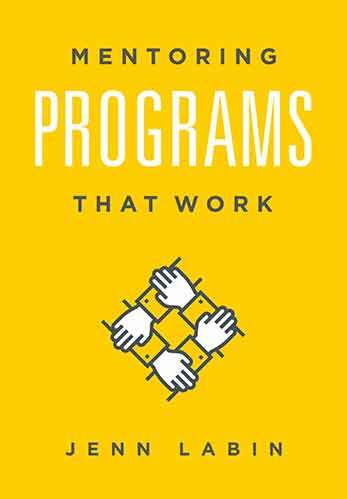 These programs applied a training methodology to a nontraining solution and were ineffective at best and poorly designed at worst. What’s needed is a solid planning framework developed from hands-on experimentation. And you’ll find it here. Mentoring Programs That Work is framed around Labin’s AXLES model—the first framework devoted to the unique challenges of a sustained learning process. This step-by-step approach will help you navigate the early phases of mentoring program alignment all the way through program launch and measurement. Whether your goal is to recruit and retain Millennials or deepen organizational commitment, it’s time to embrace mentoring as one of the most powerful tools of talent development. Mentoring Programs That Work will help your organization succeed by building mentoring programs that connect people and inspire learning transfer. Are you a learning and development professional responsible for creating training programs for your organization? If so, you probably know that every training project faces the constraints of time, cost, and quality. Real World Training Design employs the time-tested ADDIE (Analysis, Design, Development, Implementation and Evaluation) model as a starting point in giving you the tools and knowledge you need to implement your training goals. 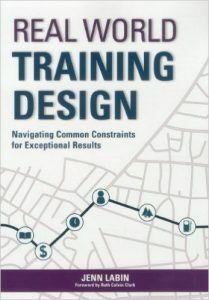 In Real World Training Design, you will learn how to assess the needs training of your company, how to design a program that meets your criteria you face, how to develop the program efficiently and cost-effectively, how to implement your training protocol, and how to evaluate the results of your work so you can demonstrate the benefits and return-on-investment of your plan. Separating Real World Training Design from the rest of the training manual pack is its recognition that real-world challenges and opportunities are part of the process of developing every training program. Rather than gloss over the potential difficulties faced by trainers, managers, and other L&D staff, this book explores and addresses these issues head on, and offers creative and pragmatic advice on how to overcome these obstacles. In addition to an in-depth analysis of the ADDIE protocol and coverage of the potential pitfalls you may encounter, Real World Training Design also delivers useful tools, detailed templates, well-researched case studies, and a list of additional resources to help you create truly productive and cost-effective training programs. Real World Training Design is a tremendously valuable arrow in the quiver of every professional who is involved with the design, implementation, maintenance, and evaluation of personnel development tools.